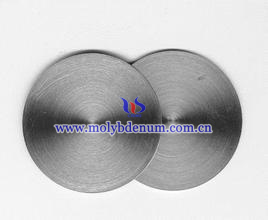 Molybdenum target mammography is an effective way for breast cancer diagnosis and it is currently the world recognized early effective way to detect breast cancer, especially in digital molybdenum target X-ray mammography. It can clearly show the fine structure at all levels of the breast, especially the subtle calcification, which is an important basis for breast cancer diagnosis. Mammography x-ray machine uses molybdenum metallic material to make of target surface and molybdenum filtration plate and it is kind of machine to produce soft X-ray. The picture which takes form X-ray mammography machine making some of the fine structure of the breast and small lesions can be clearly shown in the photo. 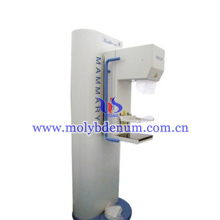 Molybdenum target mammography operating principle: general take the pictures form bilateral breast anteroposterior and inside and outside oblique film, plus film when special circumstances require local spot film. During projection process, the compression plate of machine will give pressure on the breast and the patient will find a little discomfort, but it does not matter. Soft X-rays emitted by machine through breast after special handling will form image. Due to the different density of breast tissue, there will form different imaging manifestations features on the X-ray image and the doctor can diagnose breast disease from pictures on the difference density. Mammography breast diseases detection range: breast lobular hyperplasia, breast fibroids, breast cancer and so on. If there is any inquiry of molybdenum, please feel free to contact us by email: sales@chinatungsten.com, sales@xiamentungsten.com or by telephone:86 592 512 9696/86 592 512 9595.